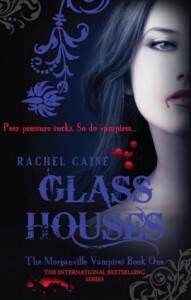 I first read Glass Houses about three years ago, when I was coming down from the dreaded Twilight phase and wanting more vampires. Or maybe I wanted real vampires, not the sparkly fairy kind. I had been meaning to re-read the first three books in this series for a while, since I have another six of the books on my TBR shelf, but I never found the time. If you’re a book blogger, you know how it is. Then the Booktube-a-thon came around, and one of the challenges was to re-read a book, and this one seemed like the best choice! Okay, so how do my thoughts now compare to how I felt about this book back then? I’ve changed a lot in the past few years, and I have to say that my feelings towards Glass Houses shocked me. I still feel exactly the same now as I did the first time I read it! Sure, if you think about it too much then you’ll find a lot of flaws. A lot. 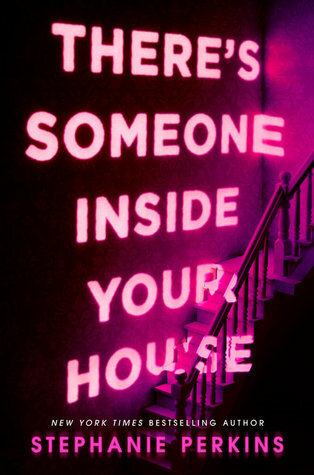 But it’s a fun, light book and exactly what I needed to keep me out of a reading funk after I finished reading 1984. Claire, the main character, is not a favourite of mine. Caine tries to go for the “innocent little girlie” hing that used to be oh-so-popular back in the day. We still see that a bit now, but I think the scales have tipped towards sassy and badass now. That being said, Claire does her best to help her friends, and she really cares for them, and that’s an admirable trait to have. I wasn’t pleased with how quickly Claire accepts the existence of vampires. It was far too easy. There was no real struggle at all, and I think the book could have benefited from a bit more of that. Especially since there’s a lot of talk about how intelligent Claire is, and how she’s a woman of science. I expected more disbelief, and upon re-reading I still can’t quite believe how fast she is to accept that Morganville is run by vampires. As for the romance, yes, I am still shipping the OT3 that is Shane, Claire, and Michael. Claire has bundles of chemistry with both guys, and, for once, I actually like good guy Michael. Surprising, I know. Overall I’m really glad I got the chance to re-read this, and I’m looking forward to getting back into this series and seeing where these characters go. I remember a couple of things in the next books about Shane’s storyline, so that should be lots of fun! And I’ll probably cry. I hope I don’t take such a long break between books this time around, though! No one I know has actually reviewed this book, as far as I can tell. If you have, then feel free to send me a tweet! Oh, no, I’m just kidding! I still haven’t read The Immortal Rules, although the vampires-in-charge thing reminds me a little of The Hunt by Andrew Fukuda. Right?! Or any supernatural creature, really. If I discovered vampires or werewolves were a real thing I’d be freaking the eff out. Not so much with ghosts, since I am a Supernatural fan after all. I love this series, it’s fun and very easy to fall in the Morganville universe with each new book. Claire is of course my favorite, but the first book was not my favorite. Things get better. And the final book is being released later this year, so we can say goodbye to all those story. I agree, it’s such an easy read! Great for if you’re in a funk and just want something light. There’s no way I’m going to be able to catch up with this series before the final book is released, but I’m kind of glad it’s ending when it is. This way, I can read without pressure! Oh man, I had that vampire phase about 6 years ago, and I read so many horrid books. However, I remember this series as being a bit better than some of the others. I’d sort of like to start over and actually finish the series, but there are so many books in the series and so little free time. Glad you still liked it. OT3? What does that stand for? I was all about Shane/Claire, I think. Very Michael/Maria. OT3 is like OTP but with three people. You know, when you just can’t choose. I would say that my vampire phase was awful, but the only two series that stand out as such are Twilight and The House of Night. And I stopped reading the latter two books in :’) Even then, I could tell they were a pile of crap. I love this series so much! Definitely my favourite vampire series. I’m all about Shane/Claire! I love Eve/Michael too much to ship Michael with Claire.